Active Notes are Signed Off while in Edit mode. 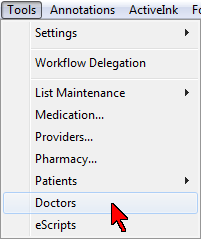 The options for the digital signature display are selected in Tools – Doctors. 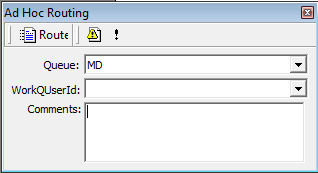 An image file containing the doctor’s signature can be imported to eMedRec. When Sign Off is clicked, the dialog box below opens. Select the routing desired: Fax; File; Edit; Ad Hoc Route; No Routing. 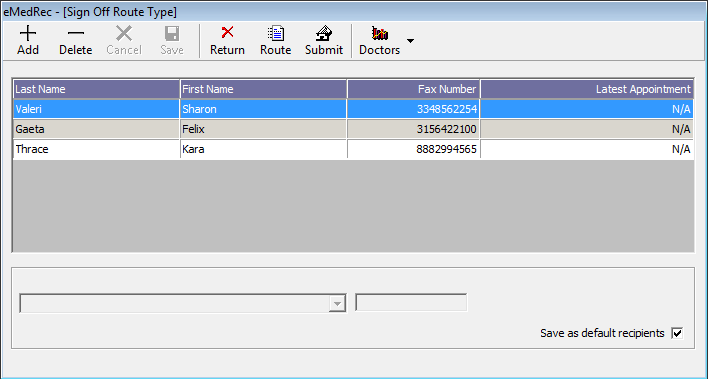 Route to Fax will open the Fax on Demand window. 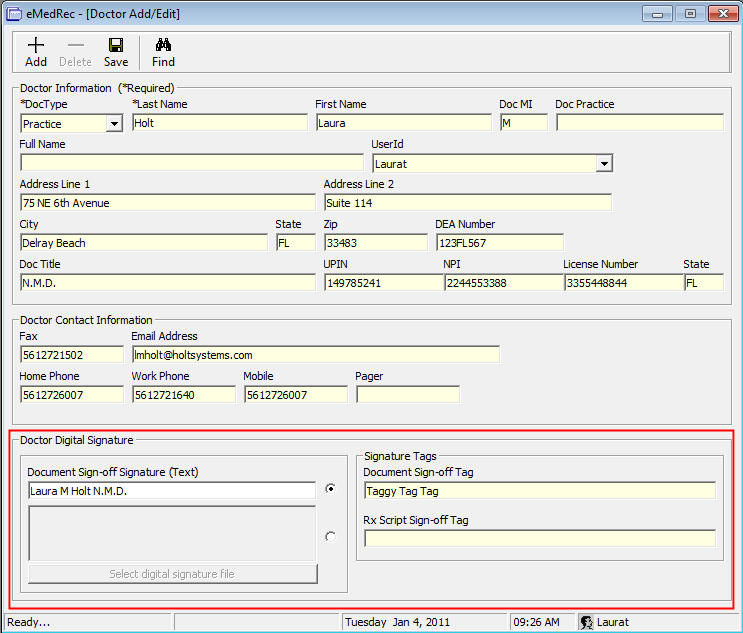 Route to File will place the digital signature and Complete the Note. 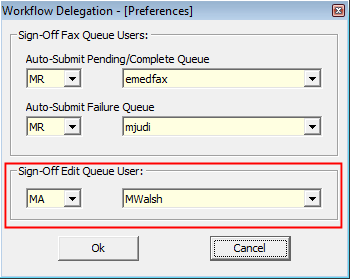 Route to Edit routes the Note to the User selected as the Sign Off Edit Queue User in Workflow Delegation - Preferences. The content may not be edited, but Annotations, including additional digital Sign Offs, may be added. 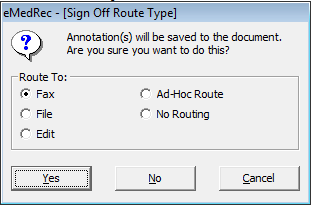 Ad Hoc Route provides the option to route to another User with Notes. No Routing leaves the document in Workflow for further action.